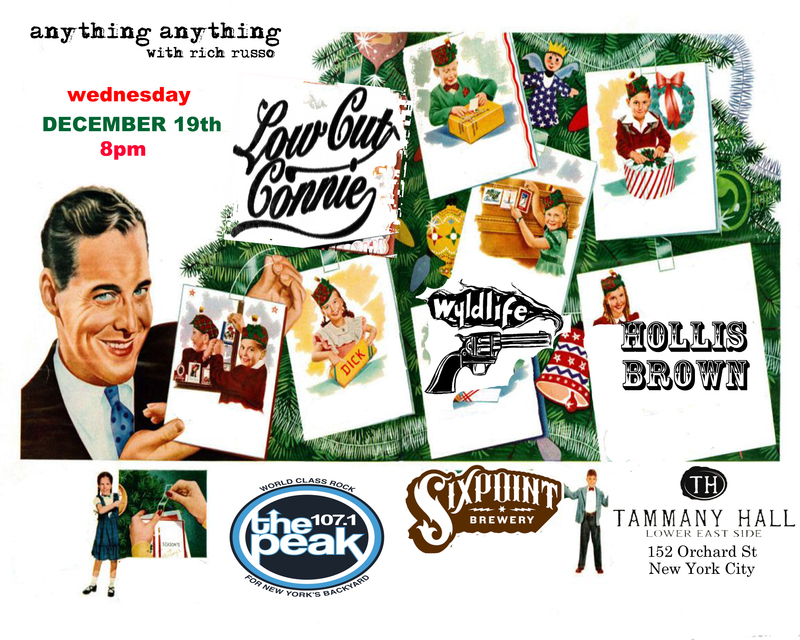 12/19/12 ANYTHING ANYTHING SHOW TAMMANY HALL NYC – Rich Russo - The King of Free Form Radio. Posted on Nov 22, 2012 by Rich — Blog — Add your take! Tickets are $15 each, includes a FREE SIXPOINT BEER or Soft Drink, net proceeds will be donated to RED HOOK INITIATIVE and a Lower East Side Charity TBD.